What’s new — Developers’ description of an update. Clicking More Details will redirect you to more detailed report on AppFollow. 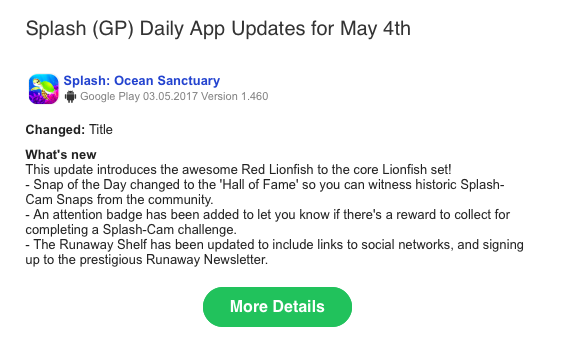 For more details check out the article about app versions (timeline).